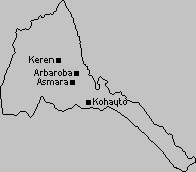 Today I will check our information page about the Asmara travel agents. Natsuno told me that Young Pioneer Tours sent out e-mails to all travel agents, and only one responded. E-mail communication with Eritrea is not easy. Slow internet and frequent spammming are the two causes for disappointing communication. Another is the sometimes rude communication of the sender. If you are really interested doing business, than check the name of the manager. If you start with just "Hello" or "Dear Asmera Team", there is a good chance you will not pass the spam filters. Hello, nor Team are a Tigrinya name. Oasis Travel Agency data is okay, but their office is very close to the Cinema Roma, and they may have a tour one of these days. Hope I can join. "We have a surprise for you" Adiam says. "On Friday you will join us for a tour to Kohayto". Still they have a copy of my passport & visa, so Oasis will get me a travel permit for Friday. Adiam is happy with the Oasis banner on the home pages of our information pages. Therefore the tour is a gift. "Come to our office at 8 AM the day after tomorrow, we will prepare the paperwork." What a fantastic start of the day! From the house I have called the other travel agents, to check if they are still alive. They all are, so I will visit them one by one. It takes some time to visit them all, as their offices are not always easy to find. In my search for Erinine I start at the San Francesco Church, asking people for the directions. Most of the people don't know. 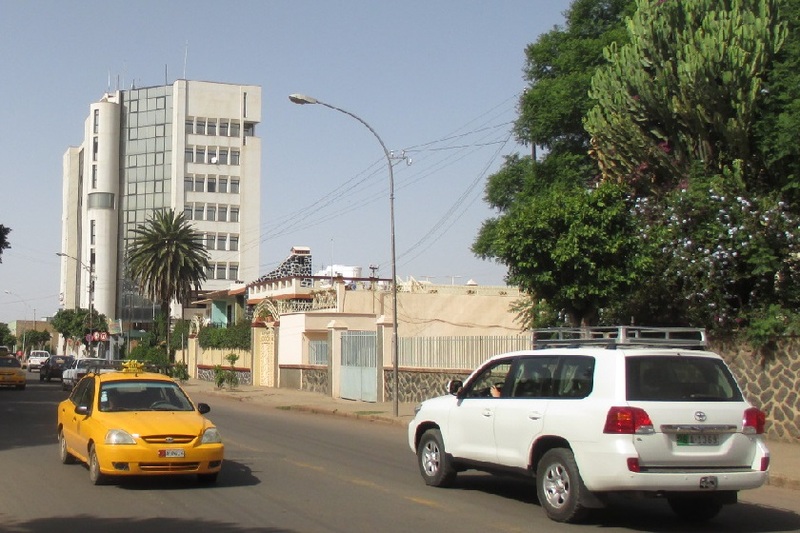 Some direct me to another travel agency (there are many smaller travel agents in Asmara). Than I meet a brilliant guy. "Do you have their telephone number?" Of course I have. He calls the Erinine office. The staff gives more specific directions, near the Bar Gegeret. I do not know of any Bar Gegeret, but the man that made the phone call knows. "But it is far, we will take my car." The office is a five or six blocks blocks from the San Francisco Church. It is a short ride, but nevertheless I feel guilty. I ask him what I shall pay. "Nothing!" is the answer. I want to offer him a beer in Bar Gegeret, but he refuses. The Erinine office is a modern and neat office. They offer all tour facilities and they have their own boat (in Massawa) for trips to the Dahlak Islands, just like Oasis Travel Agency. We exchange contact data and I receive brochures of the Ministry of Tourism. Last travel agent to visit before noon is Explore Eritrea. Explore Eritrea is also a very experienced travel agent offering tours to all the major touristic places. The have a modern office just behind Harnet Avenue. They offer me tea, and we have a short chat. The manager remembers me from previous visits. After a small lunch (cheese cake at Bbrssy Donut House. I love it!) and a large fresh fruit juice at Salim Fast Food at the Eritrea Square bus terminal, I do the other travel agents. One of them tells me they will prepare their web site when business is profitable again. Unfortunately they are not aware of the fact that their presence on the world wide web will generate business. But I am not in the position to convince them. When I think the day is finished, I meet Haile who invited me to the May 23 2009 Independence Day party in the Berhe Aiba hotel. Haile invites my to drink coffee in The Mask Place with his sister Woyni and her friend Tu' um, who came from London to celebrate Eritrea's Independence Day. 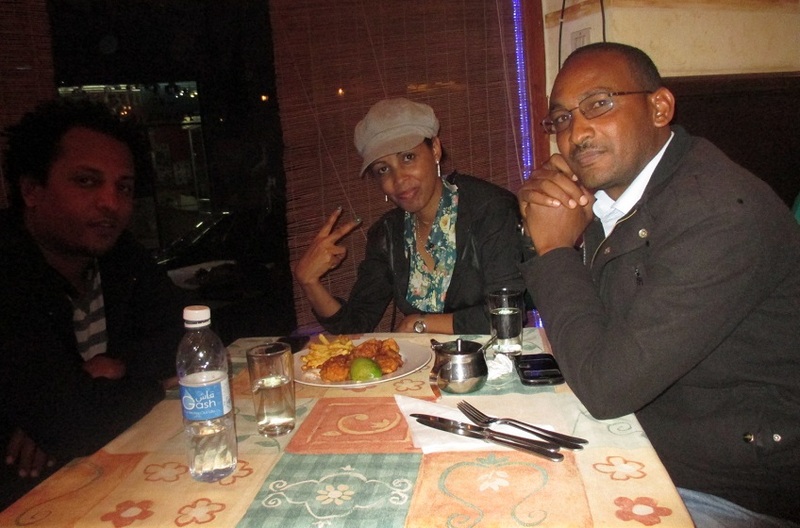 Woyni is half Ethiopian, and not amused by my 'Chifta Woyane' expression for Ethiopia. "We are One People" she says. I ask her when these One People will make peace. She estimates peace will come in five years or so. Let us hope it will come true. Eritrea is now suffering triple: The 'no war, no peace' situation with Ethiopia, the UN sanctions, and the worldwide ongoing economic crisis. And the people of Eritrea is suffering and escaping the country because the 'situation' is lasting too long. Cinema Asmara - Beleza Street Asmara Eritrea. 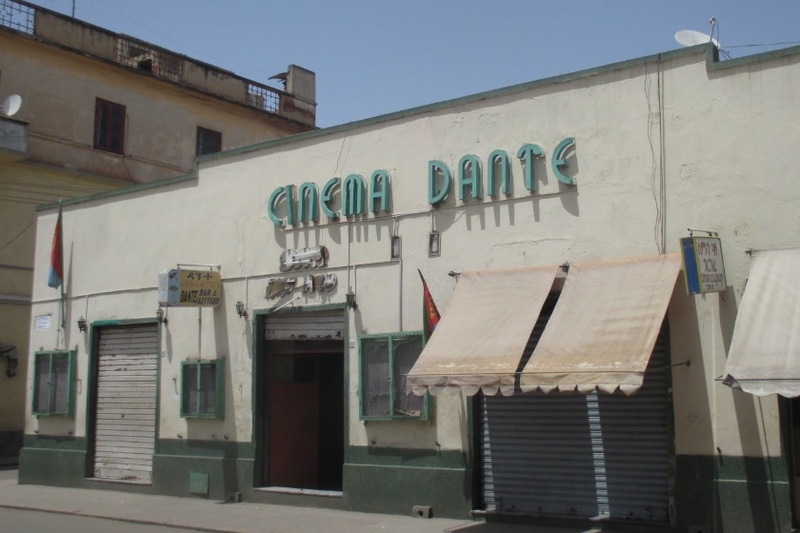 Cinema Dante - Asmara Eritrea. 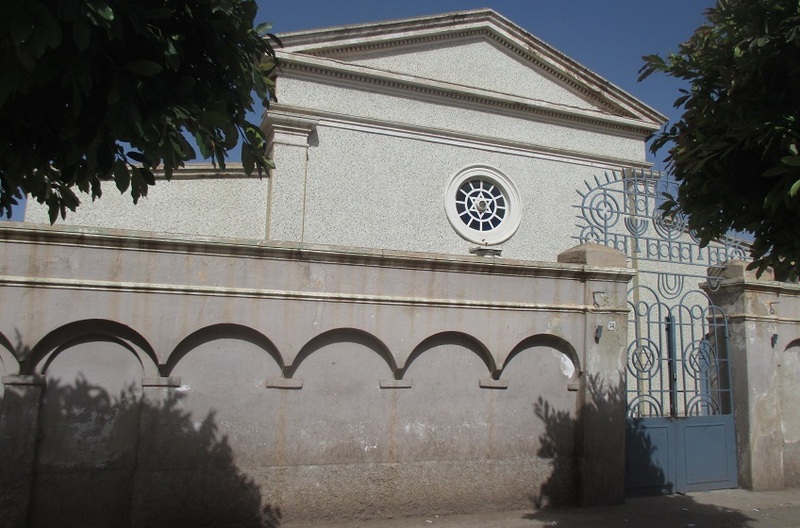 Synagogue - 176-21 Street Asmara Eritrea. 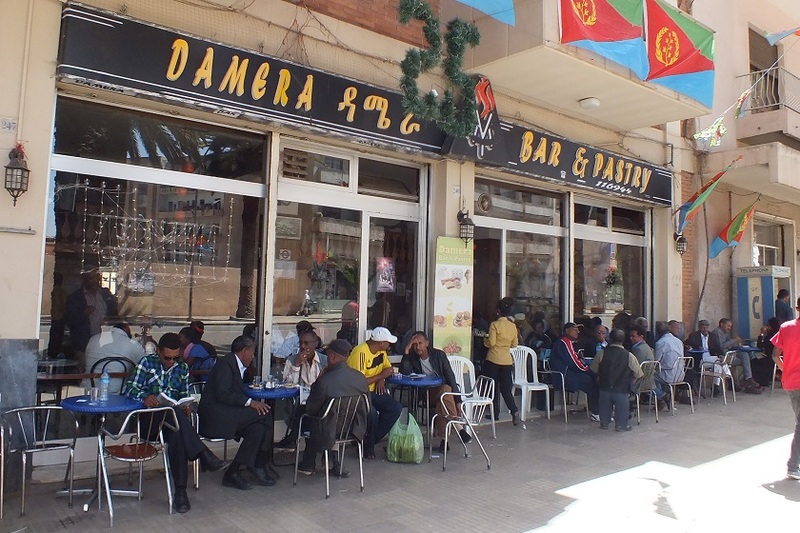 Damera Bar - Harnet Avenue Asmara Eritrea. 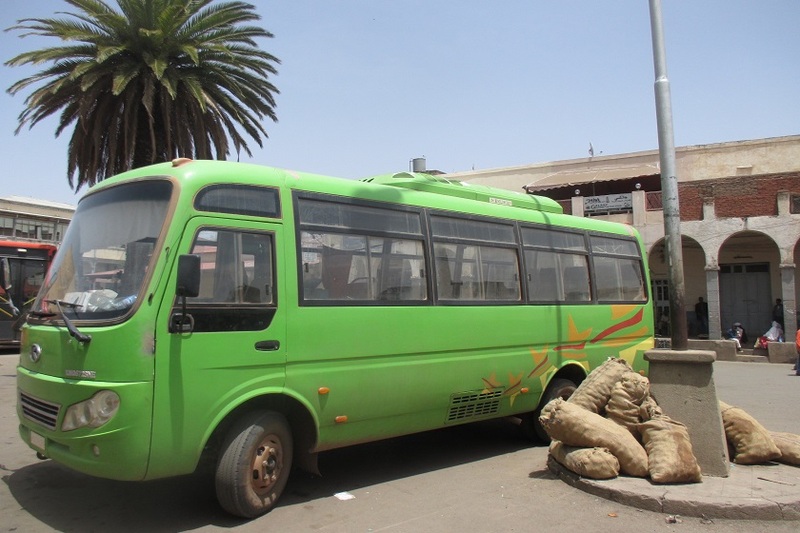 PTZM midi bus - Eritrea Square Asmara Eritrea. 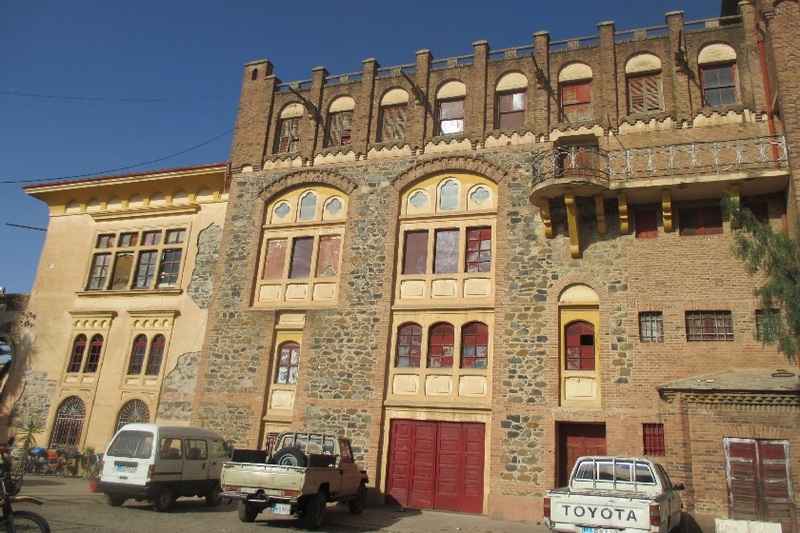 SABA Building - Warsay Street Asmara Eritrea. 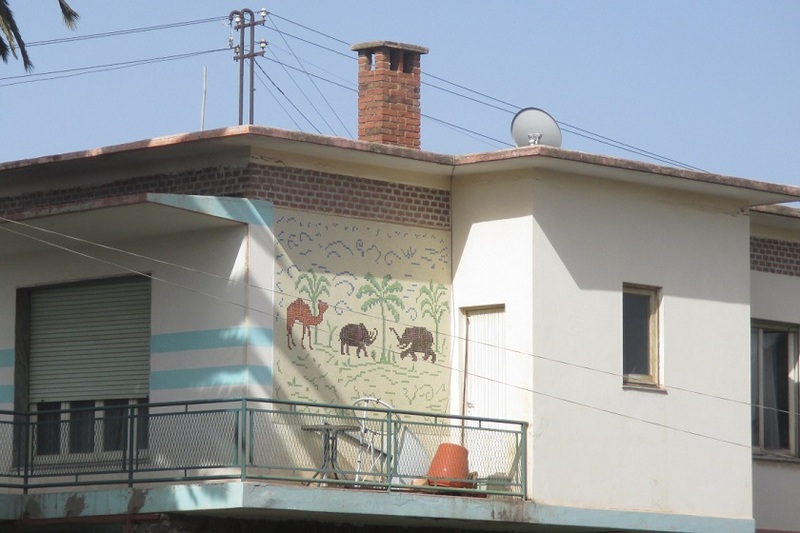 Villa - Warsay Street Asmara Eritrea. 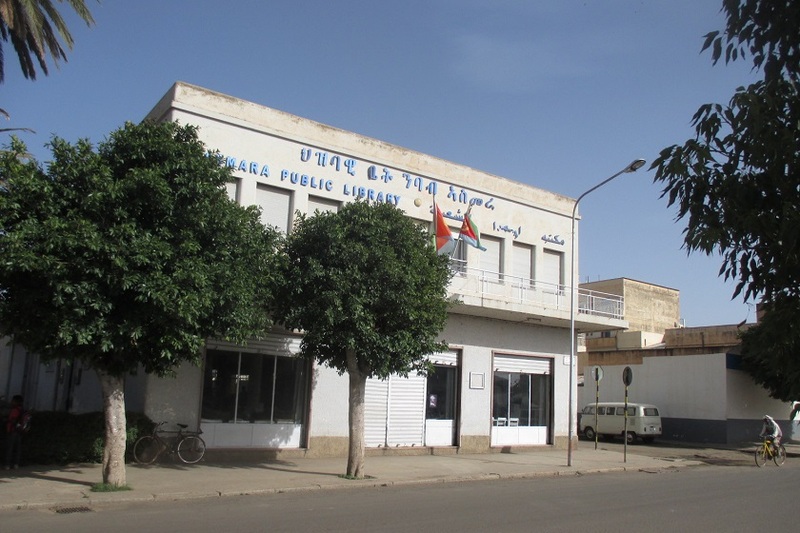 Asmara Public Library - 194-4 Street Asmara Eritrea. 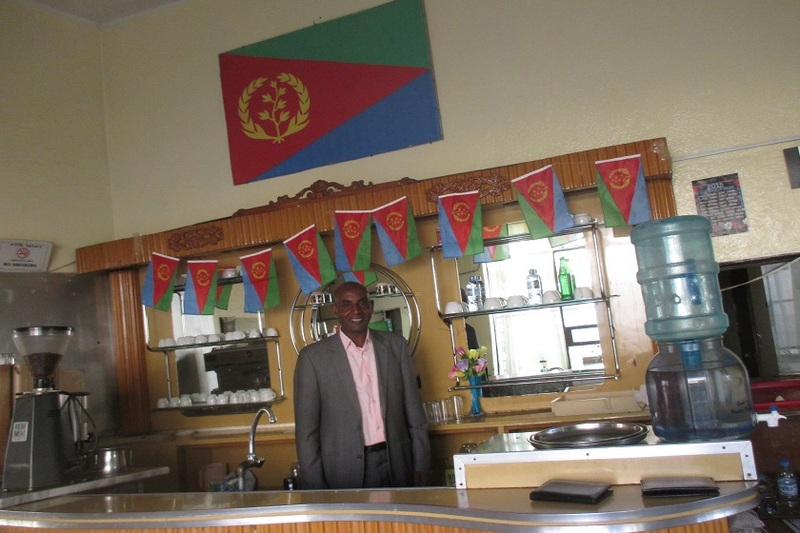 Mebratu City Center Snack Bar - Asmara Eritrea. 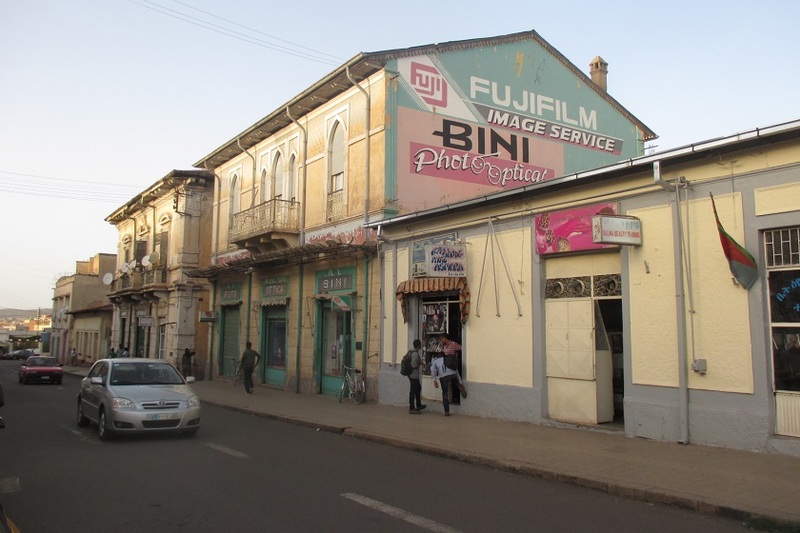 BINI - 175-11 Street Asmara Eritrea. Tu'um, Woyni and Haile - The Mask Place Asmara Eritrea.